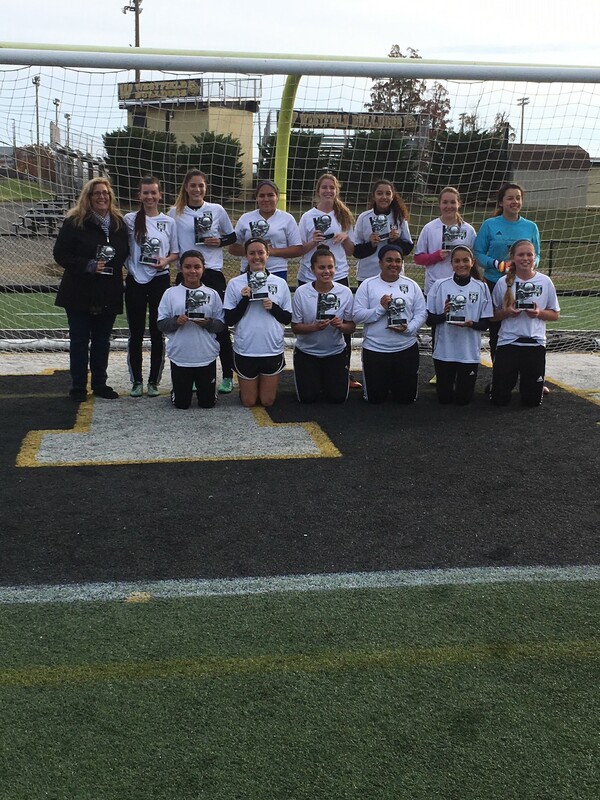 After starting the season with 1 win and 3 losses, the Division 1 U19 Girls teams (NVSC 8) put together 6 straight wins culminating in an SFL Championship on November 12th! In the Championship game, NVSC 8 was down by 2 goals 20 minutes into the first half. However, as the team did all year, they did not give up. Rather, they showed their fight and determination and scored 2 goals of their own to finish the first half even (2-2). Midway through the 2nd half, NVSC 8 struck again with the go-ahead goal and held on to win the Championship Match (3-2). Congratulations Ladies!